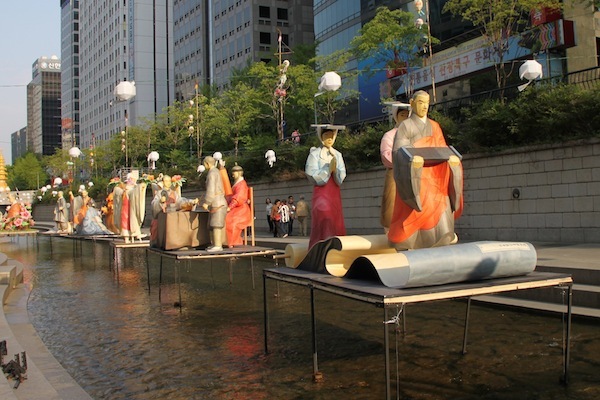 Figures, made of traditional Korean paper, floating on Seoul’s Cheonggye Stream. Effectively oversized lanterns, they were meant to be lighted at night. These floats were part of a temporary special exhibit. 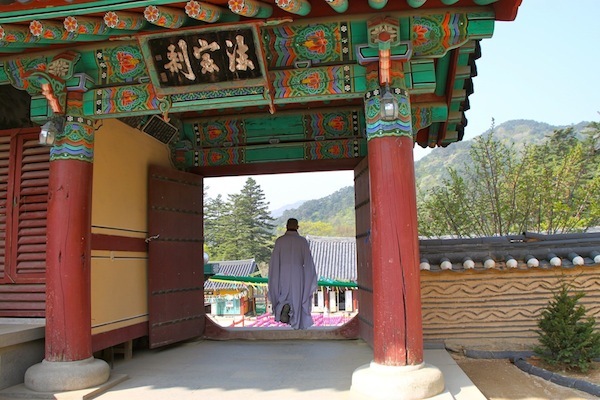 Editor’s Note: This is the second of a series of articles on South Korea by Nadine Godwin. 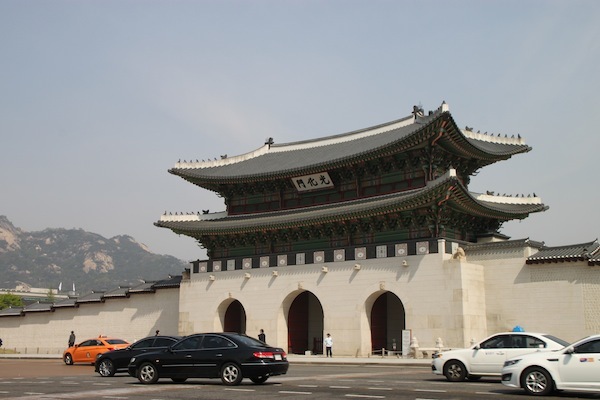 Read her first one, Seoul: Palace Hopping. SEOUL, South Korea — I went to Korea a few times in the 1980s; I was mostly in Seoul and mostly there for business. 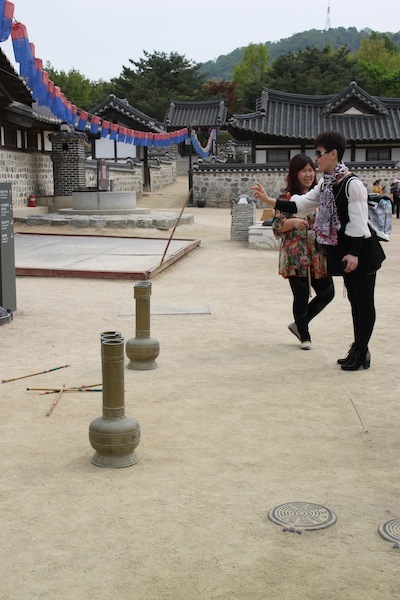 Then, I returned with a press group in 2014, hosted by the Korea Tourism Organization. 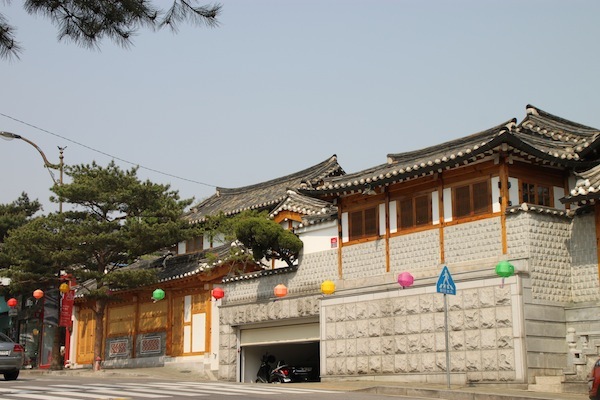 In the ‘80s, the South Korean capital was already a big city with its share of high-rises of the commonplace sort. By my latest visit, its population was 11 million, and those nondescript (or ugly) high-rises had been joined by a number of striking skyscrapers that are actually attractive or bespeak an interest in creative architecture — or both. 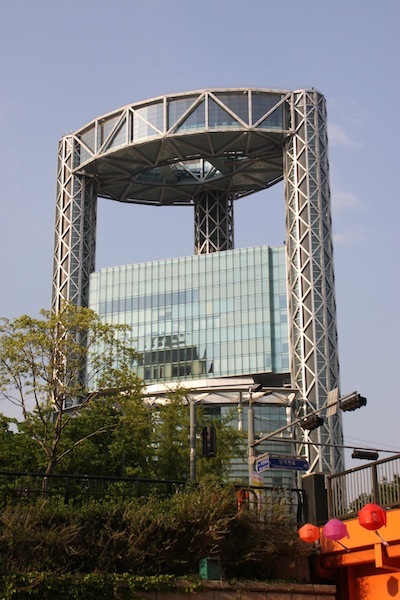 Modern high-rise seen from the below-street-level Cheonggye Stream in Seoul. Other recent projects — epitomized by the attractions described below —beautify the city, highlight the country’s past and embrace the future. 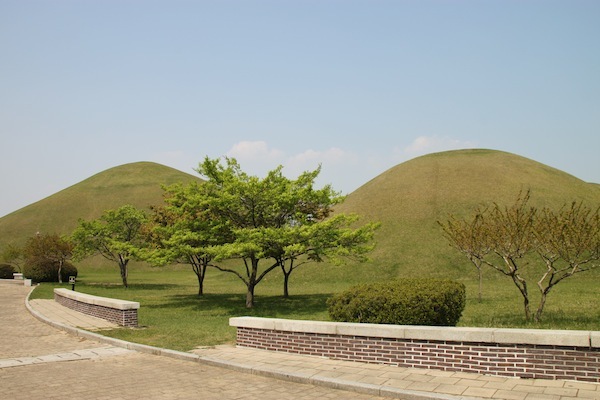 • The Cheonggye Stream is a 3.6-mile-long park that lines an old canal. 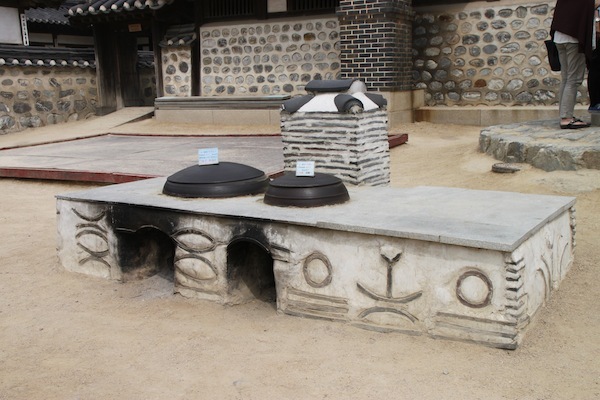 Korea’s Joseon kings (1392 to 1910) created the canal for drainage into the Han River. 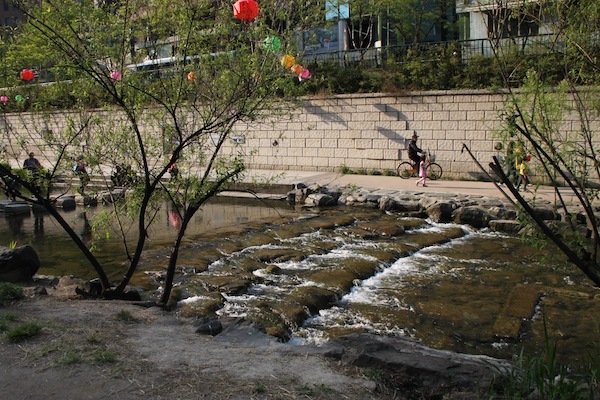 View of the Cheonggye Stream below-street-level park in central Seoul. After the Korean War, the city covered the stream with a highway, then removed the road early in this century to create the below-street-level park, debuting in 2005. 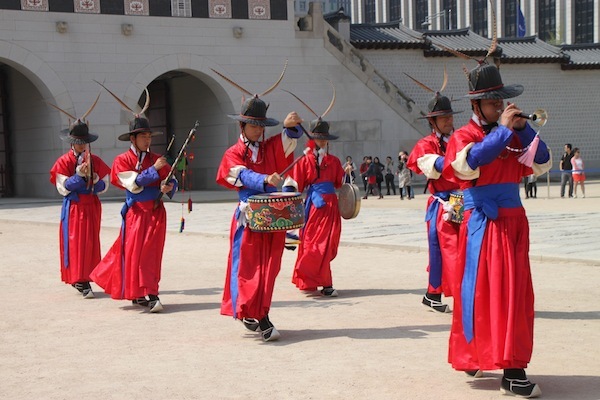 The changing-of-the-guard ceremony at Seoul’s Gyeongbok Palace is accompanied by percussion and music. 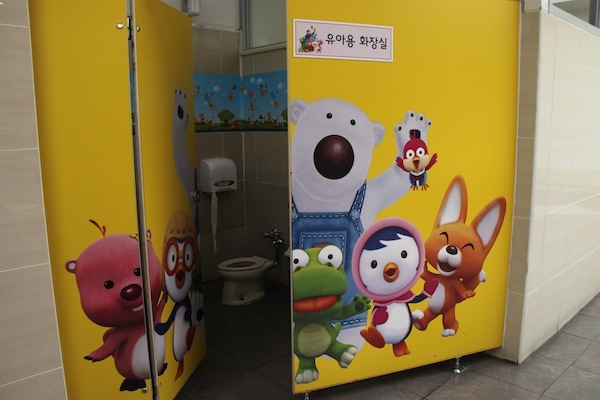 SEOUL, South Korea — I have seen the most exotic changing-of-the-guard ceremony ever — well, the most exotic in my experience. It featured armed men in brightly colored and slightly feminine robes and broad-brimmed black hats. The guys with vicious-looking blades came escorted by others waving gorgeous flags or providing background sound effects with cymbals, horns and painted drums. 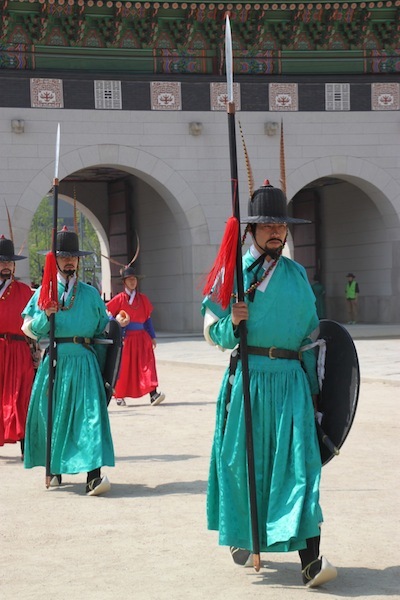 Costumed reenactors, portraying palace guards, carry some wicked-looking blades at the traditional changing-of-the-guard ceremony seen here at Seoul’s Gyeongbok Palace. 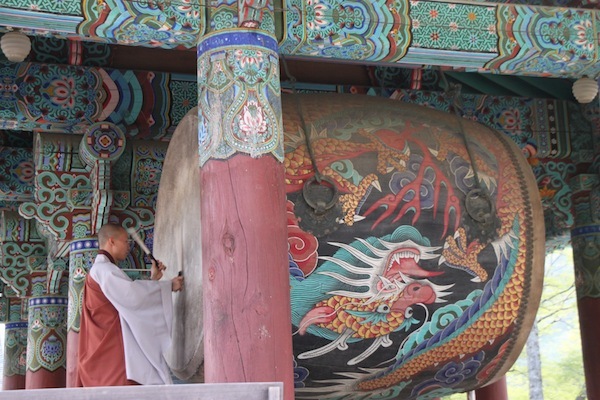 All of this is a daily occurrence at two of Seoul’s palaces. 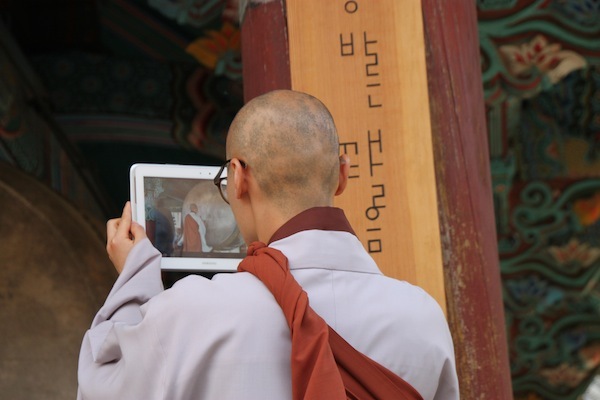 To be precise, this event occurs three times a day six days a week (not Tuesdays) at Gyeongbok Palace, or Gyeongbokgung (gung means palace). 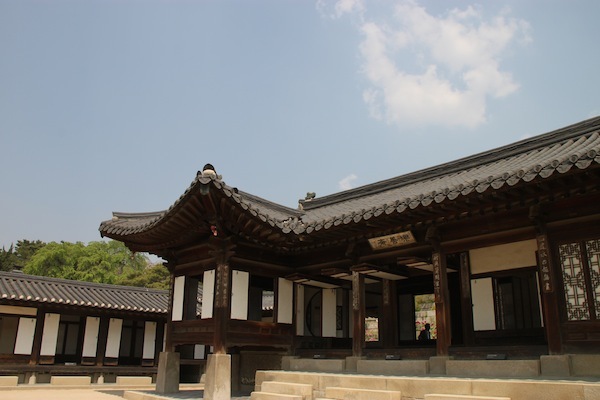 Another palace, Deoksugung, has a similar ceremony three times a day six days a week (not Mondays) on similar terms. 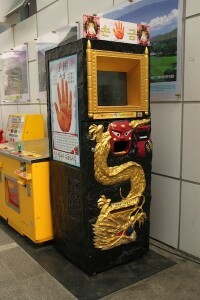 These events, which are free, are canceled if the weather is wretched. 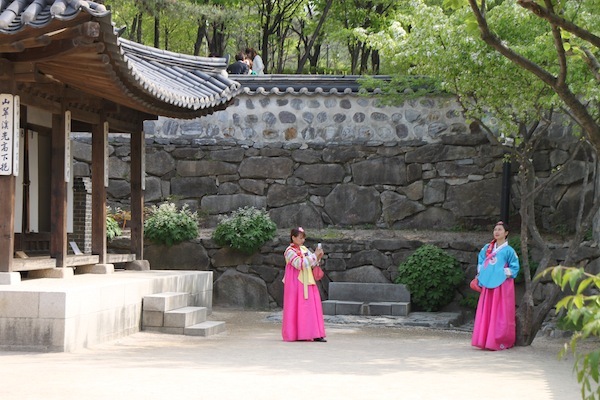 I watched the ceremony during a spring press trip hosted by the Korea Tourism Organization. Gwanghwamun, entryway to Gyeongbok Palace in the middle of Seoul, with a mountain in the background at left. What we see today is a mix of reconstructions and restored 19th century buildings. 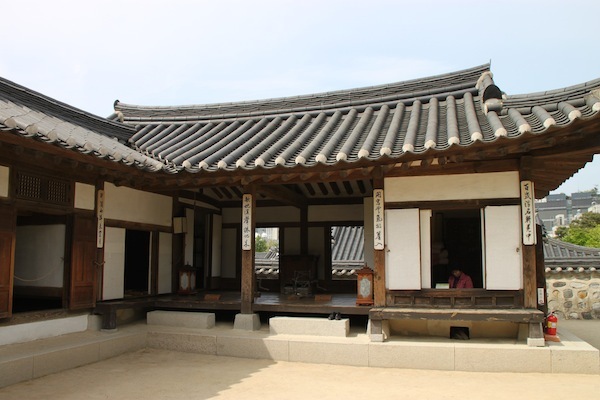 Our tour led us in succession to the main reception hall, the king’s “office,” his bedchamber and lastly the queen’s sleeping quarters, with gates between each and walls around each. 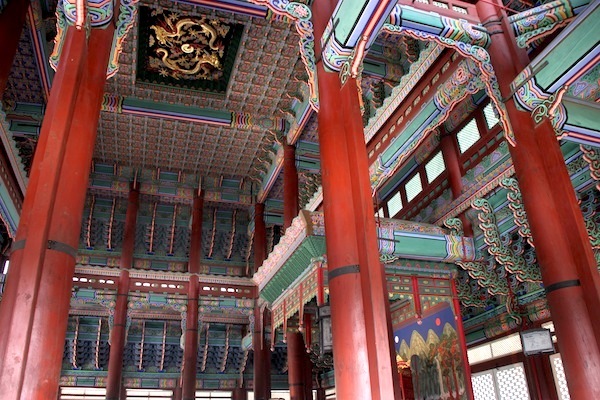 Interior of the king’s audience hall at Gyeongbok Palace, with brightly painted wood ceiling elements and very red pillars. We could only look into, but not enter, rooms. 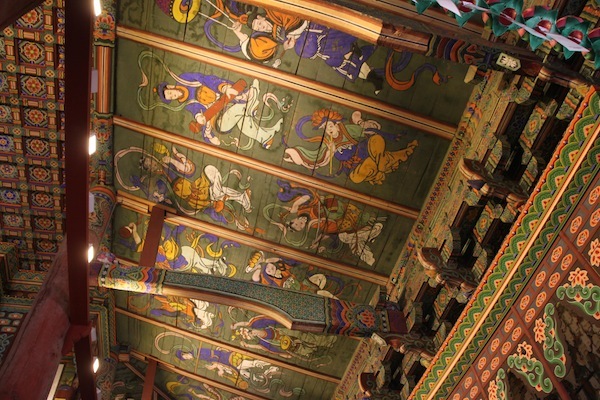 We focused in particular on the huge audience hall, with a throne at its center, surrounded by pillars and topped off with high and decoratively painted wood ceilings. 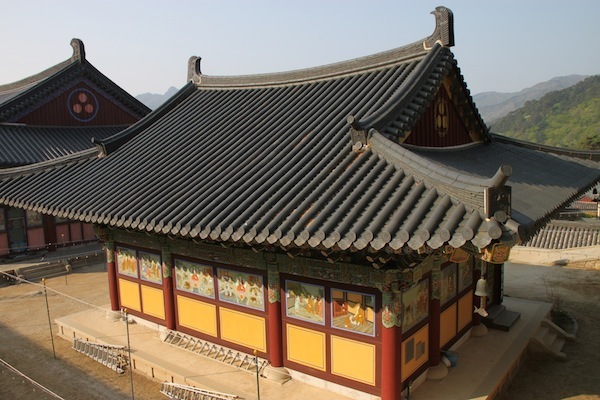 Although smaller, the palace is reminiscent of Beijing’s Forbidden City in its architectural style, but not in colors. In Beijing, there is lots of red. Here the colors are black, white, blue, green, red and yellow, in other words, more varied but, with less red, less bright. The grounds include gardens behind the queen’s quarters, which had quite a few flowers in bloom during our visit. This was a nice effect, as was the occasional view of a mountain in the background, one of the 37 mountains located in Seoul. 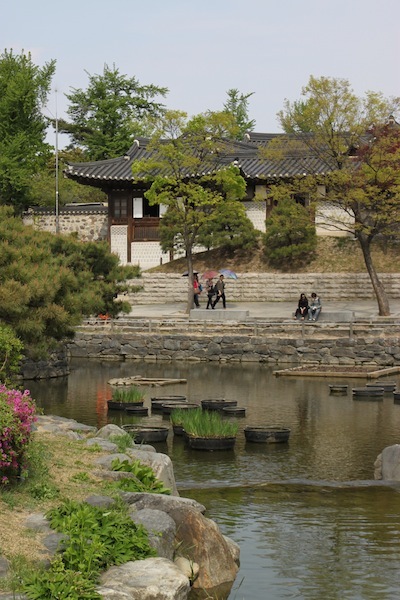 Part of the palace garden behind the queen’s quarters in Gyeongbok Palace. 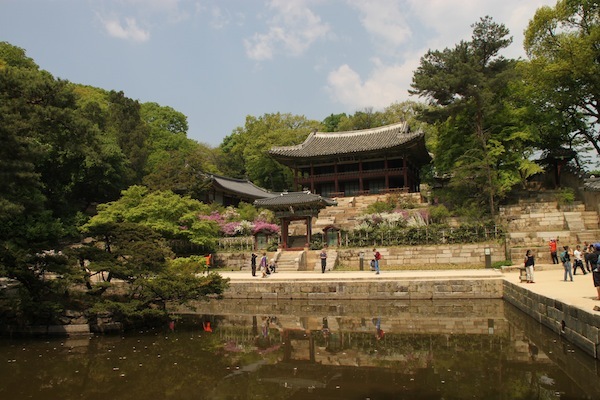 Our group visited a second of Seoul’s five surviving royal palaces, Changdeokgung, built in 1405. Scores of children were on site, too, apparently on school trips. My favorite little kid was wearing a New York Yankees cap. 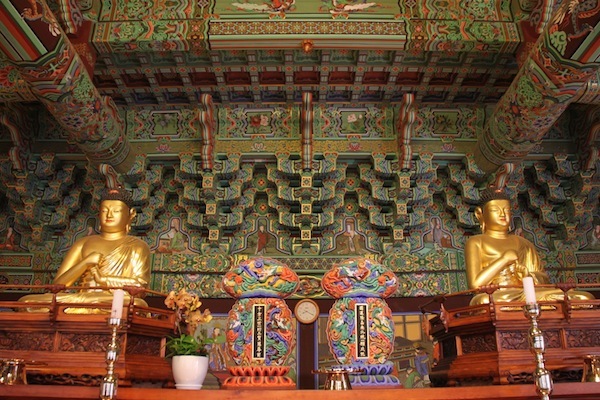 An example of residential buildings inside Changdeok Palace. 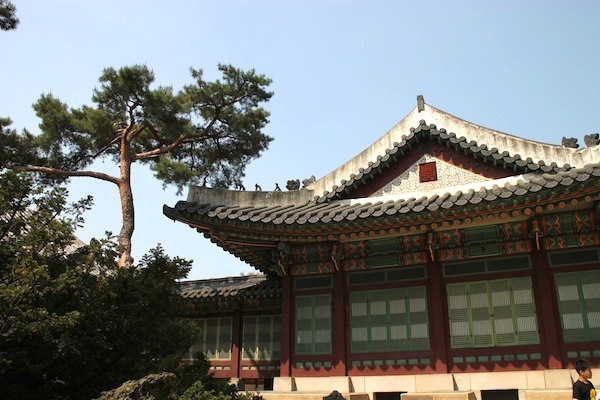 The palace includes a public area, the royal family’s residential buildings and a garden at the rear, called the Secret Garden because only the royal family and anyone approved by the king could go there. Buyongi Pond inside the Secret Garden at Seoul’s Changdeok Palace. 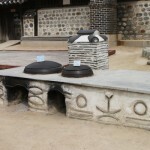 Another unique feature is the separate set of walled buildings that one king built in the 1840s for the concubine who was the love of his life and the woman he would have chosen as his queen. However, when it came to choosing a bride, he had to accept the choice of his grandmother, the family matriarch. 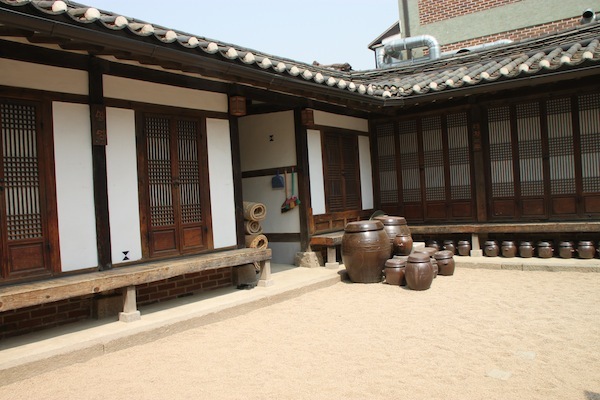 Buildings inside the compound that was home to a favored concubine at Changdeok Palace in the 19th century. Note buildings here are not brightly painted. 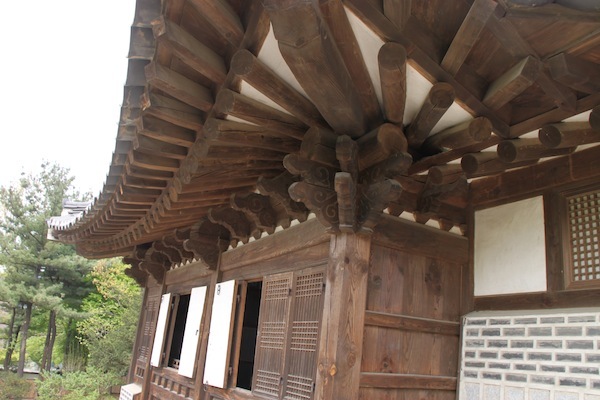 Our guide talked briefly about the paper used in shutters and sliding windows. 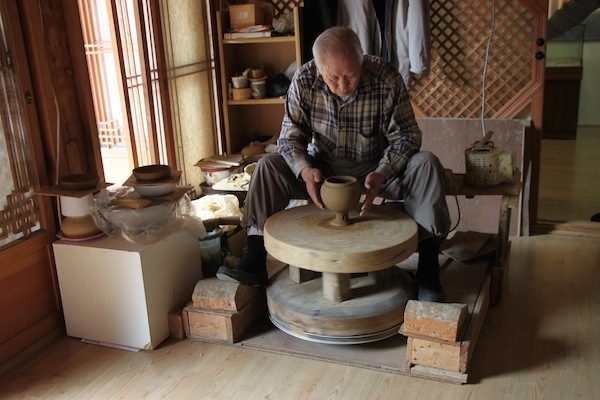 He said the paper, from mulberry trees, absorbs the moisture when humidity is high and, as it is white, reflects the sun. Angry citizens destroyed this palace (because the royals skipped town) during the Japanese invasion/occupation of 1592-1598; it was quickly rebuilt, in 1611. 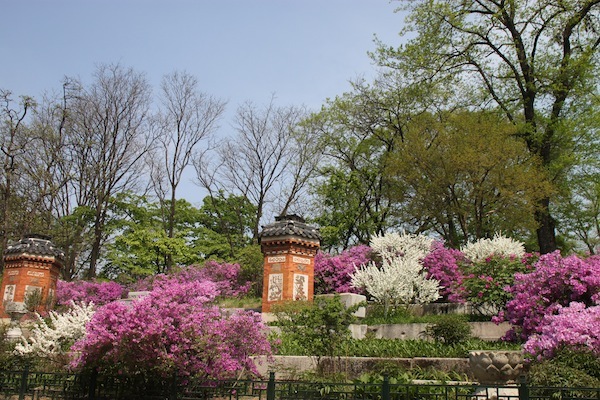 Changdeokgung is the best preserved of Seoul’s palaces and now a UNESCO World Heritage Site, in large part because of the natural style of the garden at the back. 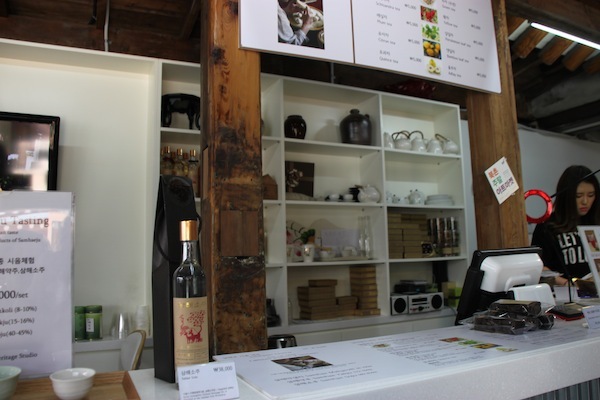 The garden is a separate attraction available to the public for 90-minute guided tours. I joined one such tour but soon left that quite large group to walk the garden paths at my own pace. It’s remarkable to realize these quiet palace grounds are in the middle of a bustling capital city. 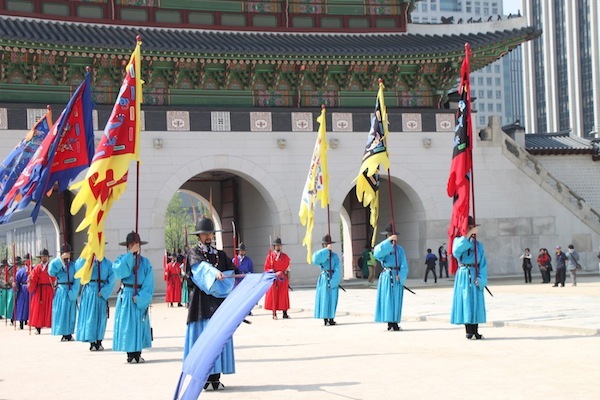 Costumed reenactors demonstrate the traditional changing-of-the-guard ceremony at Seoul’s Gyeongbok Palace. 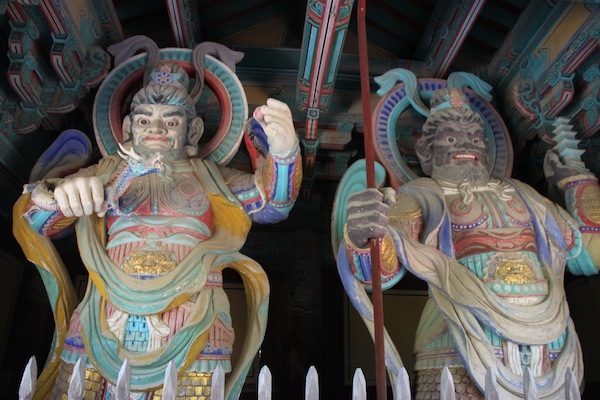 This is the first of a series of articles and photos on Korea by Nadine Godwin, the author of Travia: The Ultimate Book of Travel Trivia, which was published by The Intrepid Traveler. I am writing to highly recommend the travel agency/small hotel “Farkhad & Maya” in a residential neighborhood in the old city of Bukhara, Uzbekistan. 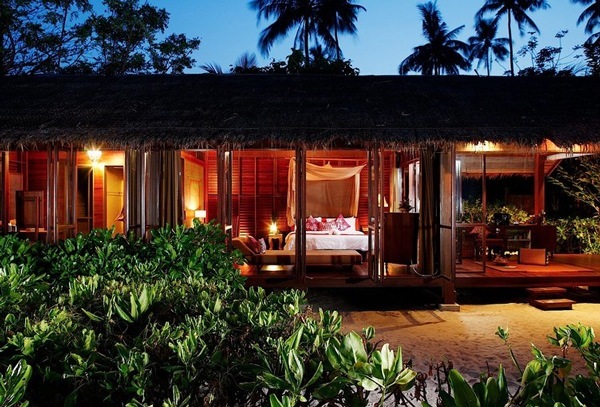 I stayed there two years ago and just now returned from two weeks there again. This is a selective list of Uzbekistan tourism contacts. It makes no pretense to be complete. If you have any additions to this list, please e-mail them along with comments.